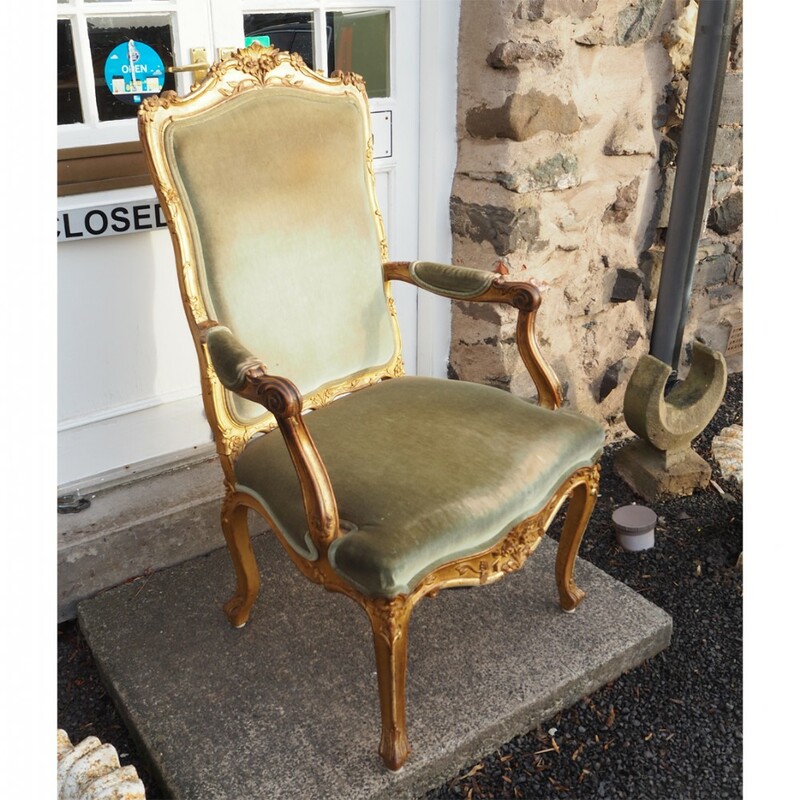 Massive and impressive late 19th century French carved giltwood throne chair. 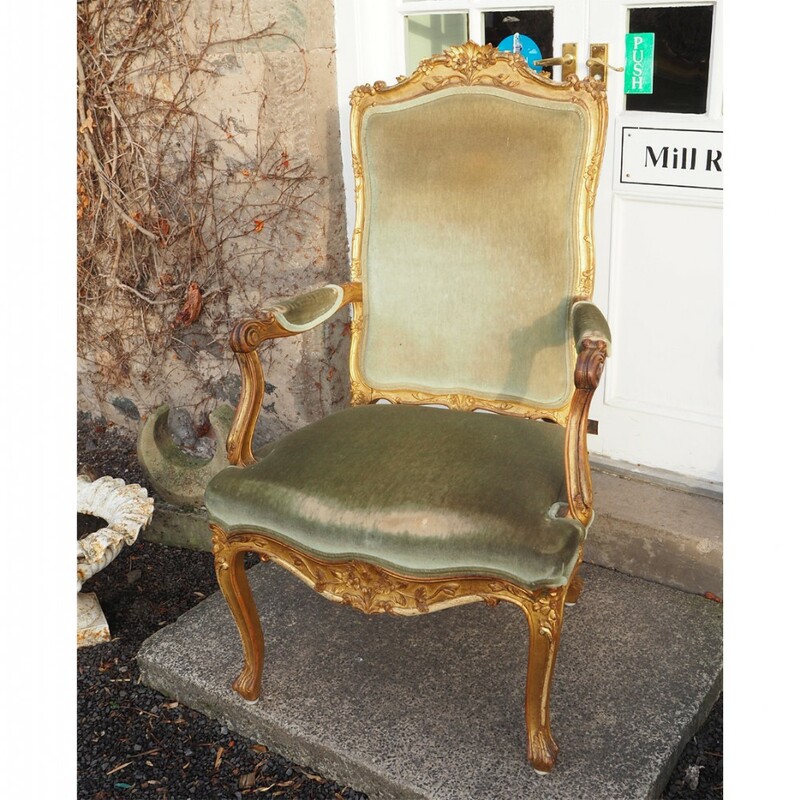 This is a rather large chair but in its own way a very impressive chair also. 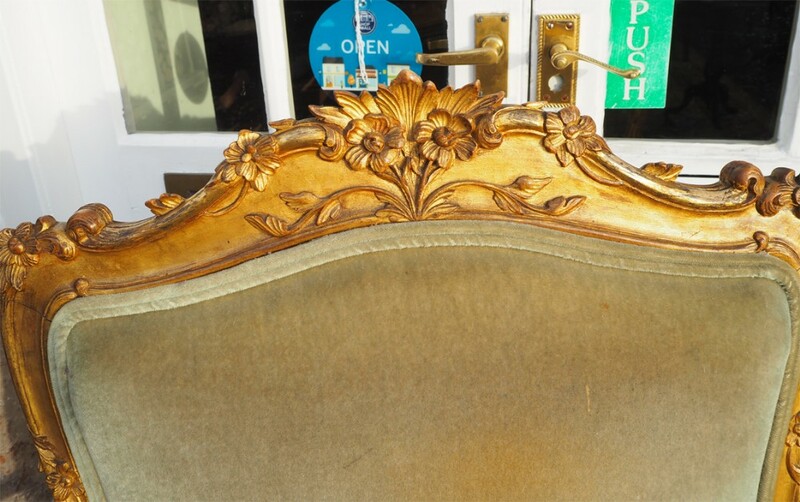 Very good quality crisp carving with all the original gilding. 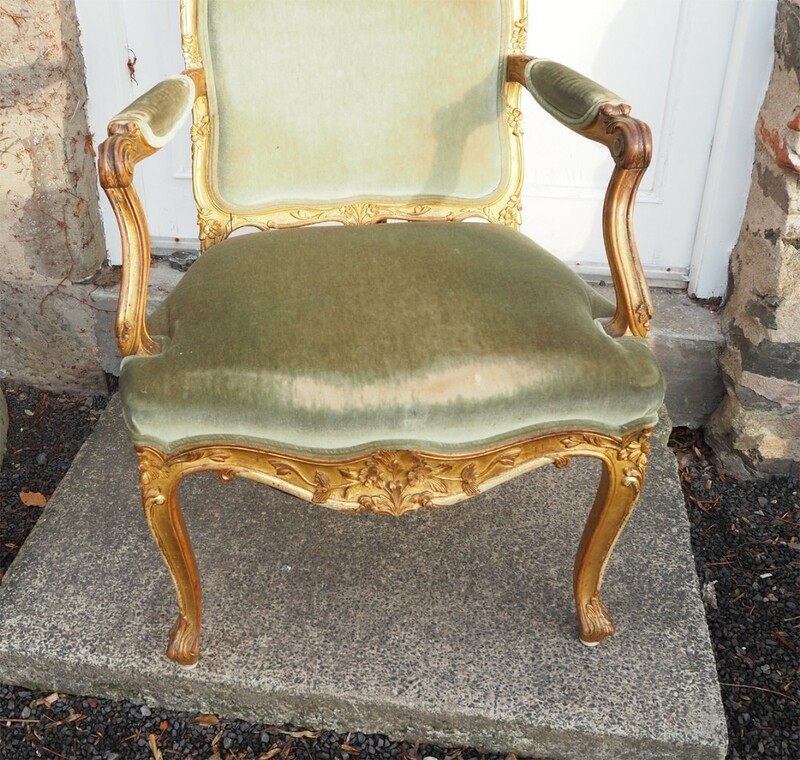 The chair is a typical French design. 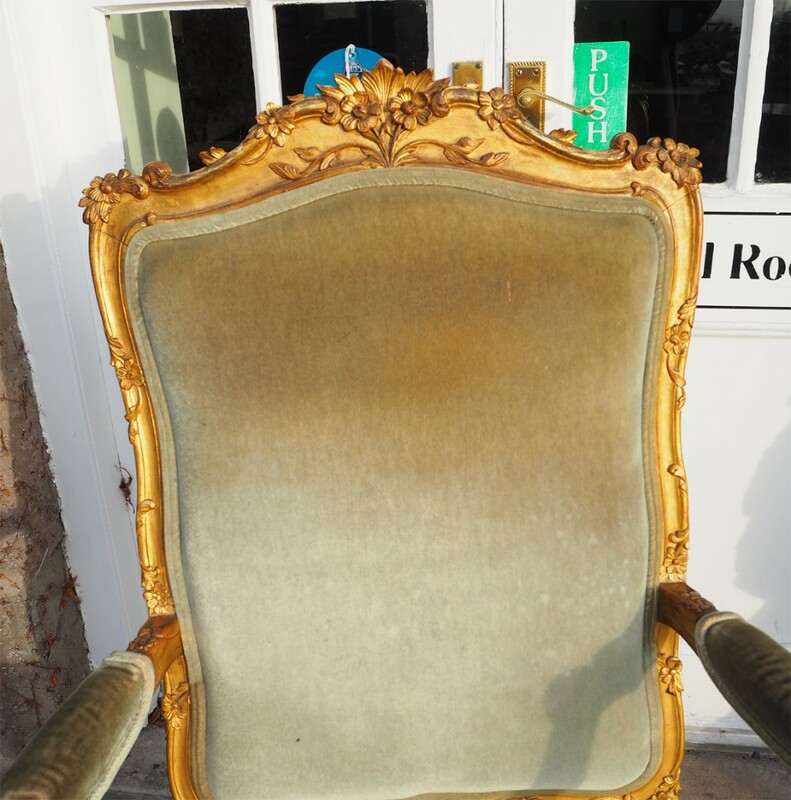 The chair is in very good condition with wear to the gilding where you would expect only, i.e the top of the arms. 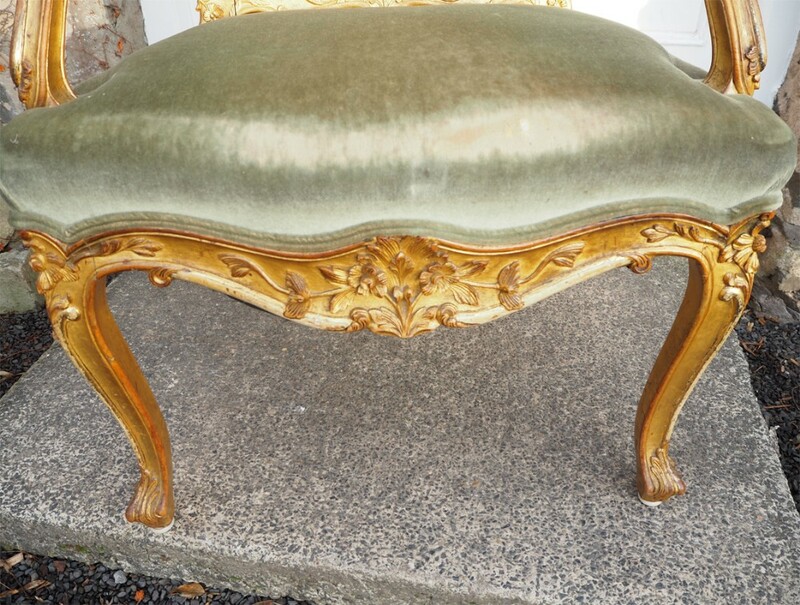 SIZE; 30" wide by 26" deep by 52" high overall. 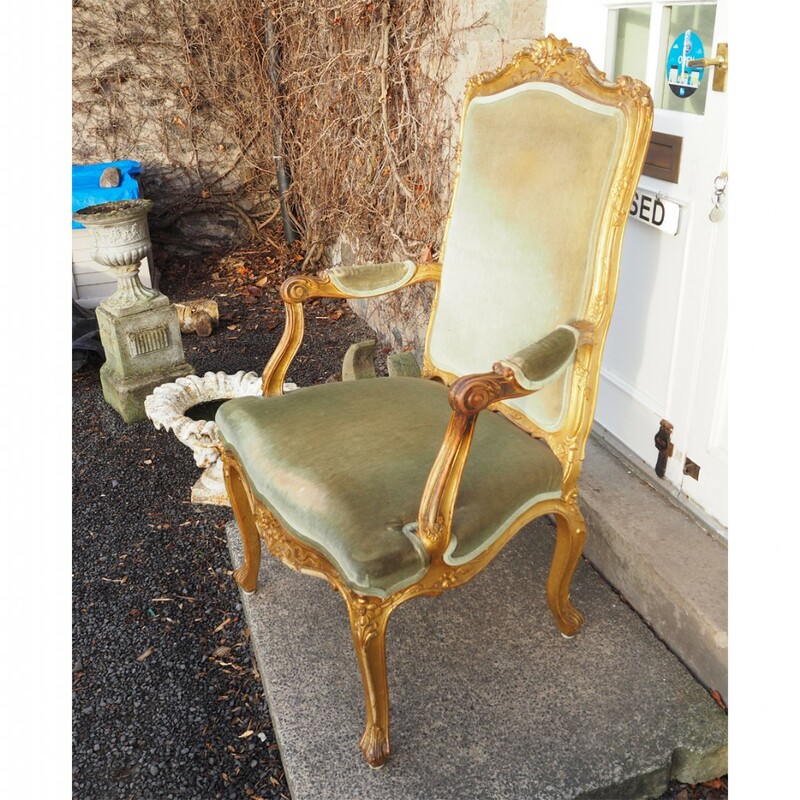 Seat height is 22"
The HUGE FRENCH GILTWOOD THRONE CHAIR. 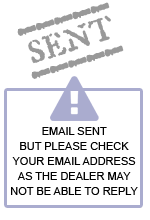 C. 1880 has been added to your saved items.